A major yet unsolved research topic in photogrammetry and remote sensing is automated extraction of urban objects from high-resolution data. In practice maps are still drawn manually to a large extent, which is very costly both in terms of time and money. With this project we aim at promoting 2D semantic segmentation that assigns object-class labels of multiple relevant urban categories to image pixels. It can be considered as a first step towards the long-term goal of completely automating mapping. Research drivers are very high-resolution data from new sensors and advanced processing techniques that rely on increasingly mature machine learning techniques. Despite the enormous efforts spent, these tasks cannot be considered solved, yet. To our knowledge, no fully automated method for 2D object recognition is applied in practice today although at least two decades of research have tried solving this task. One major problem that is hampering scientific progress is a lack of standard data sets for evaluating 2D semantic labeling methods, so that the outcomes of different approaches can hardly be compared experimentally. This "semantic labeling contest" of ISPRS WG III/4 is meant to resolve this issue. The 2D semantic labeling challenge (http://www2.isprs.org/commissions/comm3/wg4/semantic-labeling.html) extends the benchmark to pixel-precise classification of urban objects. In the first year of this project funded by the ISPRS Scientific Initiative we have prepared the data set Vaihingen and launched the 2D semantic labeling challenge. This involved preparation of all data, labeling ground truth, and the design an implementation of an evaluation strategy. In the remaining time of the project we will add at least one more data set that covers a bigger area and provides even higher resolution data. This Scientific Initiative aims at collecting and sharing state-of-the-art data over urban areas to assess the performance of image orientation and matching algorithms in the handling of images captured from different platforms. Especially large perspective and scale differences are challenging current state-of-the-art techniques and this benchmark shall make current limits visible and stimulate further research. In the first year data have been acquired and pre-processed to be delivered to participants in 2015: Oblique airborne images, UAV-based as well as terrestrial images of two selected areas. The city center of Dortmund (Germany) and the area of the Zeche Zollern Museum (Dortmund, Germany) are the test fields. The IGI PentaCam system has been used in the oblique image acquisitions, while both rotor and fixed wing platforms as well as different cameras have been adopted in the UAV and terrestrial campaigns: more than 2 TB of data have been captured in total. Due to the amount of data different scenarios have been set up both for the orientation and matching tasks. The orientation and image matching algorithms are assessed using reference points, Terrestrial as well as Aerial Laser Scanning (TLS, ALS) that have been acquired (or were already available) on the same areas. Depending on the considered scenario, the evaluation will be performed on some selected reference surfaces or considering the residuals on check points. 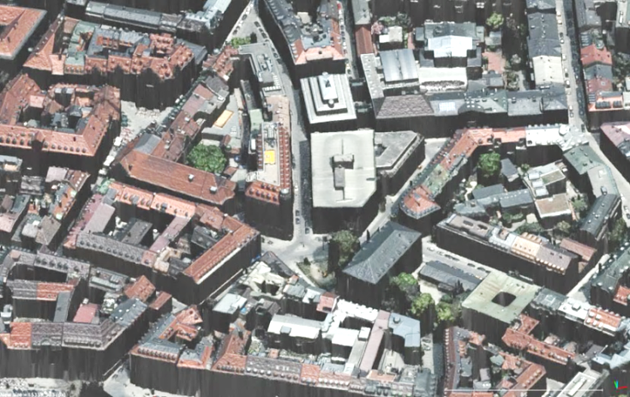 The image matching benchmark is undertaken in collaboration with the ISPRS Scientific Initiative "Benchmark on High Density Image Matching for DSM Computation" and the EuroSDR campaign on oblique airborne photogrammetry. The corresponding data will be delivered in early 2015. The image orientation benchmark is still under development and it will be fully operative later. Results provided by participants will be published on a dedicated webpage. The ISPRS Tracking and Imaging Challenge 2014, TIC'14, was aiming at stimulating research and creativity between communities such as image processing, spatial computing, and GIScience. TIC'14 was requiring that two types of data are linked in innovative ways, namely trajectory data and image data. Participants had to present and demonstrate their solutions at the ISPRS Commission III Midterm Symposium, PCV'14. An independent panel of international senior experts judged the submission and selected the winners of the first and second award. This report concludes with some "lessons learned". 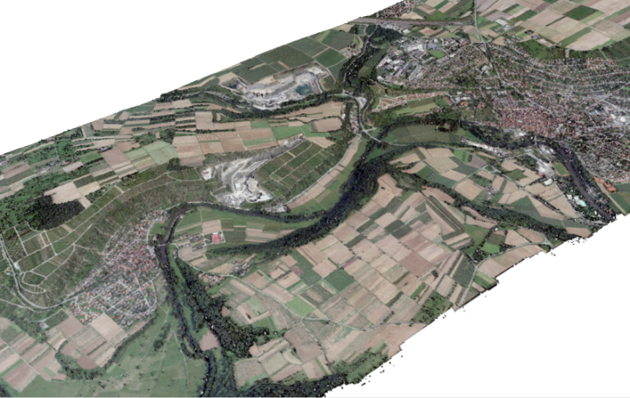 The joint ISPRS/EuroSDR project “Benchmark on High Density Aerial Image Matching” aims at the evaluation of photogrammetric 3D data capture in view of the ongoing of software developments for automatic image matching. 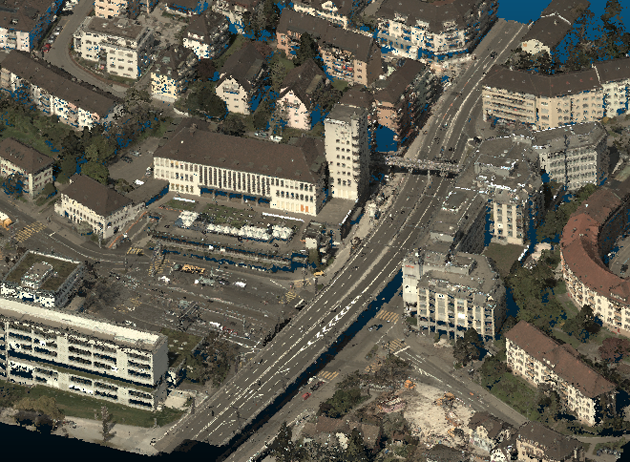 Basic scope is the evaluation of 3D point clouds and DSM produced from aerial images with different software systems. As a joint test data set subsets of three aerial image blocks are provided. Two data sets cover nadir imagery, which are captured at different landuse and block geometry, while the third data set includes oblique aerial images. The International Society for Photogrammetry and Remote Sensing (ISPRS) Scientific Initiative provided funding to develop a curriculum for the African Geospatial Sciences Institute (AGSI) in Tunis. The AGSI is a non-profit organisation registered in Germany and in Tunisia, supported by geospatial industry, governments and academia. The objective of AGSI is to accelerate the geospatial capacity development in North Africa by providing the facilities for geospatial projects and management training to regional government employees, university graduates, private individuals and companies. The Scientific Initiative funding has been used to develop a curriculum which concentrates on vocational geospatial training, emphasizing practical, project-based work. The curriculum takes account of the resources available and particularly looks at how low cost equipment such as Remotely Piloted Aerial Systems (RPAS), and terrestrial data collection instruments can be used. The main source of software will be commercial but open source software can also be used to supplement this. The emphasis at AGSI is on training and education which is fit for purpose in the region and which will allow those completing the course to work efficiently and effectively. The ISPRS project has worked with AGSI to develop a curriculum which is suitable for local conditions, this involved a survey of potential stakeholders in North Africa and the drafting of a curriculum on the basis of the returns from the survey. The results of the questionnaire and the draft curriculum were discussed at a workshop held in Tunis in March 2014. The workshop proposed that a progressive series of courses be adopted which develop a broad knowledge of geospatial technology and progress to detailed understanding and technical training. Teaching should be developed on a modular basis and courses tailor-made to fit various requirements. Apart from the development a curriculum for the training of geospatial technicians in North Africa, ISPRS has benefitted from gaining experience in working in on a practical project and experiencing problems on the ground. ISPRS has gained exposure in the area and is open to further cooperation in the region. There has also been cooperation with ISPRS Regional Members and the potential to provide services to ISPRS members in the region.